Snapchat is known for it’s disappearing messages. 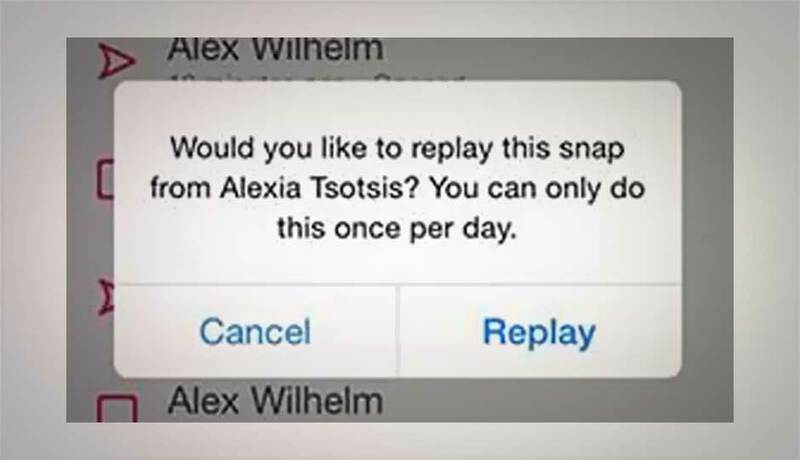 But did you know that you can replay a snap on Snapchat? That is right. You CAN watch a snap more than once, but you can not watch it more than thrice. And you can only do this once per day. When you do replay a snap someone has sent you, make sure it counts because they will know you replayed it. UPDATE: This feature is now auto-enabled. To use it, long-tap a Snap to replay it. A recent app update has eliminated the need to enable this feature. When you replay a snap someone has sent you they will be notified with a red replay icon. An example can be seen to the left of this paragraph. If you have ever seen this icon, then that means someone replayed a snap you sent them. To replay a Snap, you have to enable the feature in the settings of the app. Here is how to replay a snap on Snapchat in 7 simple steps. Step 1: Open up the Snapchat app and click the ghost at the top of the screen. Step 2: Tap the settings wheel in the upper right hand corner of the screen. Step 4: Tap the “Replay” and it should turn green, which means the feature is now active. Step 5: Find the Snap that you want to replay. Step 6: Tap on the Snap and hold your finger (long tap). A pop up will appear asking if you are sure you want to replay the snap. Step 7: Tap yes to replay the snap. The user who sent you the snap will be notified. UPDATE: This feature is now auto-enabled. In order to use it, long-tap a snap to replay it. A recent app update has eliminated the need to enable this feature.